#GivingTuesday is just around the corner: December 1st. We’re excited to take part in this global day of giving for the third year in a row, and we hope you’ll take part, too! How? Glad you asked! 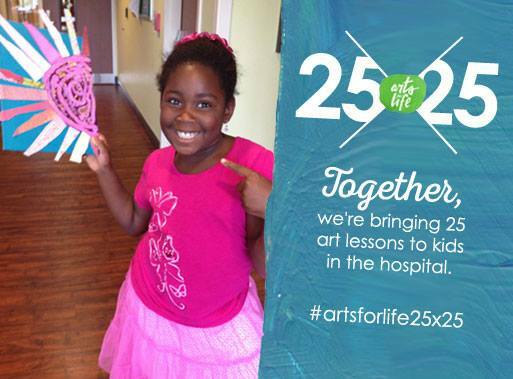 At Arts For Life, 25 IS A MAGIC NUMBER! $25 provides one art lesson for a child in the hospital. Take our 25X25 fundraising challenge to help make creativity, discovery, and joy possible for kids and teens in hospitals across North Carolina.